At last it’s here! My number 1 pick for the season, Chihayafuru has premiered, and there is some wonderful news; legal anime streaming site, Crunchy Roll, has picked up the series, making it easier for people to see great anime. 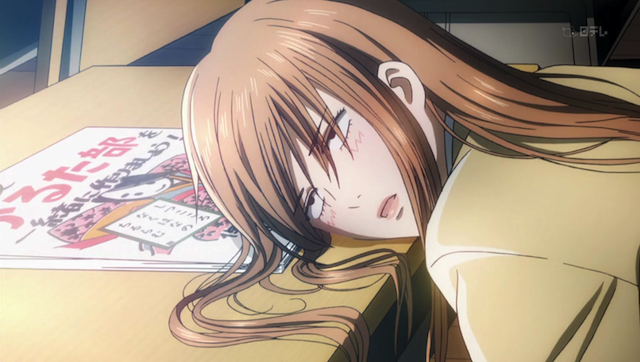 Chihayafuru is about a girl, Chihaya, a passion for the game Karuta, and two boys named Arata and Taichi. I wrote a bit about Karuta in the Fall 2011 season preview post, so I won’t discuss it in detail here. The first episode did a great job of introducing Chihaya as she enters high school, where she hopes to dedicate herself 100% to Karuta, and to Chihaya, Arata, and Taichi as they were in grade school. A strong theme this episode was being an outsider. When we first meet Chihaya everyone is expecting to find a beauty, since her older sister is a famous model. What they find instead is “beauty in vain”; her beauty is wasted, according to school rumors, because she doesn’t carry herself the way a beautiful girl should, and speaks her mind. Although she isn’t lady-like, she does have a goal, to start a competitive Karuta club. Even in grade school Chihaya had excellent reflexes. In high school Chihaya is an outsider. While her friends from junior high get to play with team mates in the track club, Chihaya is driven by a passion for an unpopular game. Things were different in grade school. She was once well-liked, and her sole dream was to see her sister become the top model in Japan. None are left who know me. We also meet Chihaya’s classmate, Taichi Mashima. Taichi is very popular. He is also quick to tease, bully, and brag. 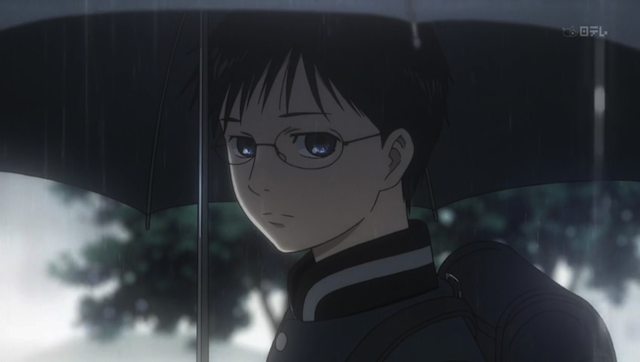 He also seems to have had a bit of a crush on Chihaya ever since grade school. Although separated during junior high, they are reunited in their first year of high school. It is quickly apparent that (at least from Taichi’s perspective) there is something (or, rather, someone) that has come between them. 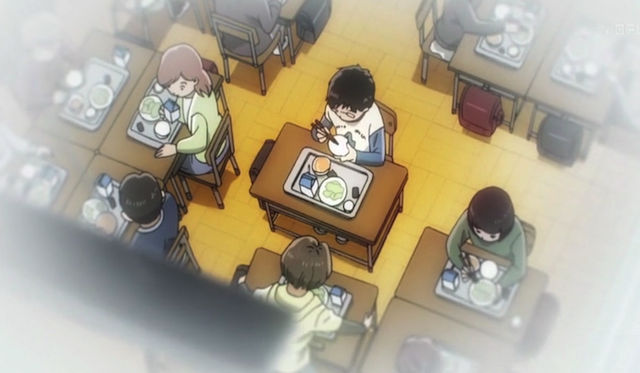 Wataya-kun has to eat alone (I heard that he snacks on bugs). Arata Wataya gifted Karuta player, and social outcast. Arata is truly the outsider. He is a transfer student from Fukui, just recently moved to Tokyo. He speaks in dialect, so the other kids make fun of him. Although Karuta was popular in Fukui, no one here seems to play it. His family also seems to be poor. 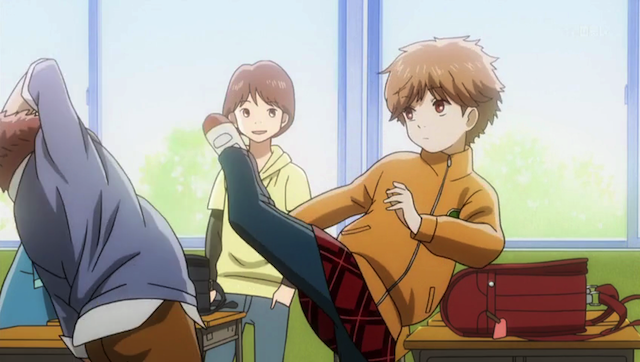 Arata is ostracized by the rest of the class, and Taichi escalates things to outright bullying. 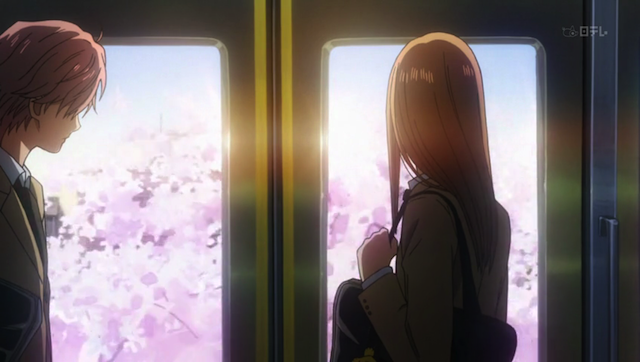 Though Chihaya is warned to stay away, she befriends Arata and discovers his passion for Karuta. 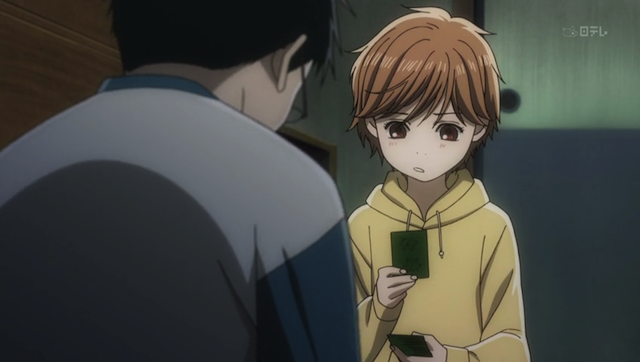 Arata convinces Chihaya to play a game of Karuta. 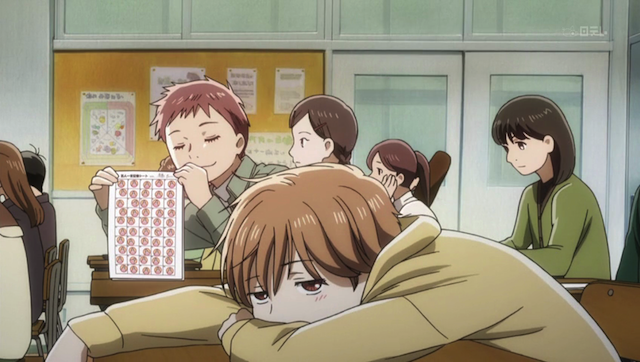 Chihaya is impressed to discover that Arata has a dream to be the greatest Karuta player in the world. Through determination, and by using her terrific reflexes, she manages to take one card, despite Arata’s incredible skill and memory. This show is slated for at least 25 episodes, so we should get a thorough sounding of the background story about how Chihaya became a serious Karuta player, and what exactly occurred in the triangle prior to junior high, as well as the story from the “present” in which Chihaya has entered high school and has become reacquainted with Taichi. The manga, by Yuki Suetsugu, won many awards, and is already in it’s 14th compiled volume, so unlike some recent series that were prematurely turned into anime, this should be very solid. Finally I want to say that the animation and character designs look great. Madhouse is at the helm, and the show has a lot more action and energy than one might think if they consider it a show about a poetry-card game. 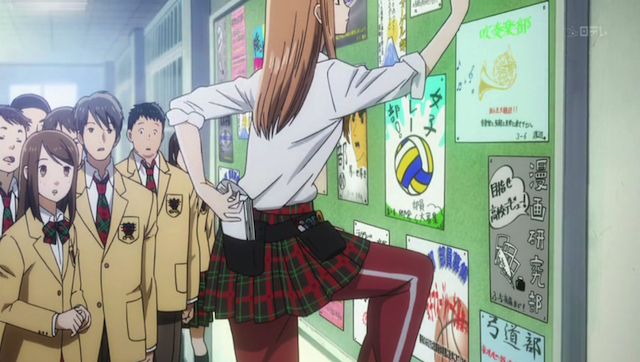 If you haven’t already done so, take a look at Chihayafuru! I liked the first episode. It’s interesting that they manage to make a card game so “physical.” The ultimate success of this anime is how they handle the dynamics between the three main characters. I hope it doesn’t turn out to be “just” a romantic triangle. “Hanasaku Iroha” set the bar high for this type of anime for me. Karuta is an oddly physical game. If you watch the videos on youtube, there is the moment of snatching the card, and the rest of it is people getting up to gather the cards that got scattered about in the process — just like they showed in the anime. I don’t know how they are going to handle the rest of it. It certainly looks like a love triangle is a big part of it, but there might be a lot more to the story. I guess at this point we wait and see.